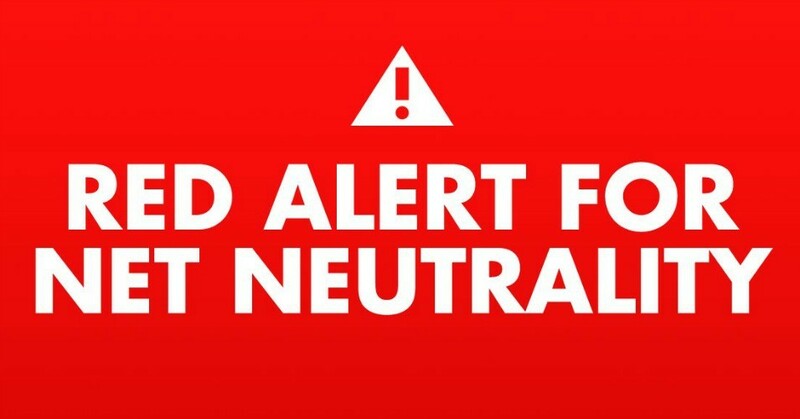 In less than a week, senators will be able to officially voice their support for overruling the Federal Communications Commission’s (FCC) December ruling on net neutrality—and momentum was building among advocates and internet companies on Thursday ahead of a huge online demonstration to push lawmakers to reverse the FCC’s decision. This entry was posted in Antitrust, Civil Rights, Corruption, Demonstrations & Protests, Economics, FCC, Government, Media Issues, Privatization, Social Justice, Solidarity, Technology, Uncategorized, Women's Issues, Workers' Issues and tagged Angus King, AT&T, Capitalism, Civil Rights, Comcast, Corruption, Demand Progress, Economics, Equality, Etsy, FCC, Fight for the Future, Foursquare, internet access, Media Issues, Mozilla, net neutrality, Postmates, Protests, Reddit, social justice, Solidarity, Susan Collins, technology, Tumblr, Verizon, Vimeo, Women's Issues on May 4, 2018 by ew. Administrative decisions related to the country’s telecommunications policy often go unnoticed by the majority of the US citizenry. But now, net neutrality in its purest form is in peril. 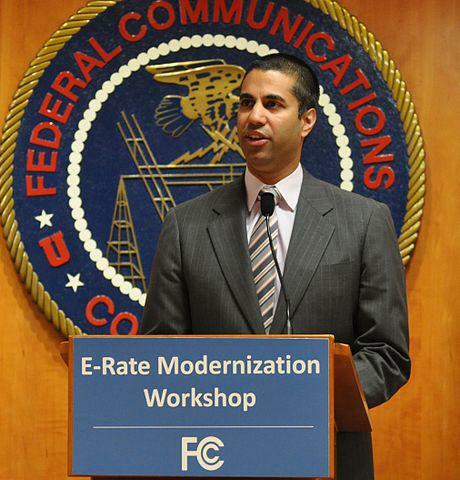 Welcome and Opening Remarks from Commissioner Ajit Pai, May 2014.Wikicommons/Federal Communications Commission.Public domain. As this openDemocracy series has poignantly highlighted, digital rights should never be taken for granted. For all those keeping a close eye on US politics, this reality could not resonate more ominously. With the new Republican administration of Donald J. Trump, there is plenty of kindle to fuel a fire of discussion and, often enough, outrage. This entry was posted in Antitrust, Civil Rights, Corporate Personhood, Corruption, Economics, Elections, FCC, Government, Media Issues, Technology and tagged Access Now, Ajit Pai, AT&T, Capitalism, Civil Rights, Comcast, Corruption, digital rights, Donald Trump, Economics, EFF, Elections, Facebook, FCC, Google, Mozilla, NAACP, net neutrality, Netflix, Open Internet Order, Public Knowledge, technology, Tom Wheeler on March 20, 2017 by ew.